The Indian classical tradition of Jugalbandi, or duet playing, where two musicians perform one raga together, is a challenge demanding a high level of mutual respect and understanding. At it's height it demonstrates two musical souls united, perfectly tuned into each others aesthetic vision. Father and son, Vishwa Mohan Bhatt and Salil Bhatt epitomize the true spirit of Jugalbandi in this live performance recorded at the 2002 Saptak Music Festival. Historically, the relationship between father and son has played a key role in the development of Indian music. Over hundreds of years, several family dynasties have built up vast volumes of musical knowledge which has been carefully nurtured and orally passed onto the next generation. It has always been generally accepted that the most in-depth teaching is passed on to the son, who then bears the responsibility to carve out new musical paths, ensuring a healthy future for a music culture which has so far survived and flourished over centuries. The young Salil Bhatt represents the eighth generation in a family of musicians which hails from Jaipur in Rajasthan. In this vibrant centre of traditional music, his father and mentor, Vishwa Mohan Bhatt started his musical training with his eldest brother Pandit Shashi Mohan Bhatt, a renowned vocalist, before taking musical guidance from the legendary Sitarist, Pandit Ravi Shankar. Not only has Vishwa Mohan Bhatt successfully imbibed a rich musical legacy, he has made one of the most significant contributions to Indian music in modern times. His creation, the Mohan Veena' is a radical transformation of the western Hawaiian guitar, adapted to express the subtlest nuances required in Indian classical music. 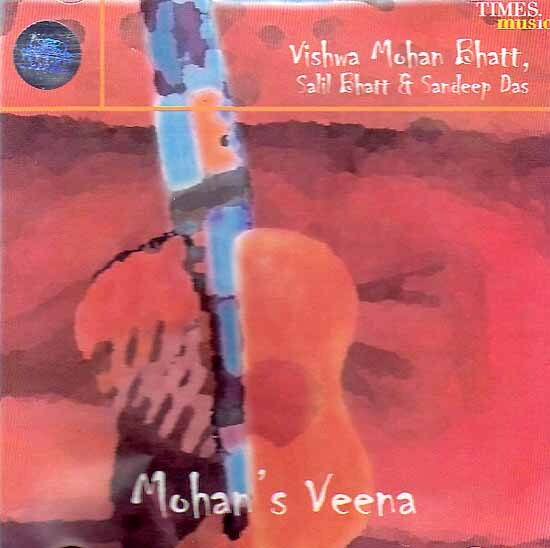 The Mohan Veena consists of 3 melodic strings, 5 drone strings and a further 12 sympathetic strings and has been designed to ingeniously assimilate the sounds of the ancient Veena, Sitar and Sarod. The tuning of the instrument varies according to the particular raga being played. Vishwa Mohan Bhatt is universally acknowledged as one of the most innovative Indian musicians today. He has successfully managed to incorporate both vocal and instrumental styles of playing into his music, and his versatility as an artist is reflected in scores of successful musical collaborations with top musicians from over the world. His capacity for invention and assimilation was globally recognized by the award of the coveted Grammy in 1994, for his recording with American slide guitarist Ry Cooder. This performance captures father and son playing a musical set which reflects the variety of Musical styles found in the Indian sub—continent. Raga Bageshri is one of the most popular ragas performed in Indian classical music. It is romantic in character, and its structure makes it suitable for extended improvisations. The performance begins with Vishwa Mohan (left channel) joined by Salil (right channel) playing the ` traditional alap (track 1), a slow, improvised elaboration of the main notes and melodic phrases of the raga, reflective and meditative in character. A gentle lilting tempo is introduced for the 'jod' section (track 2), which gradually gains pace into the éhallai as the phrases become more intense and exciting. The first composition (track 3) is set to a slow rhythmic cycle of sixteen beats called 'teentaal‘ here the tabla accompanist, Sandeep Das, is given the opportunity to demonstrate his virtuosity in a short solo which explores the colourful range of tonal qualities of his instrument. Sandeep Das is one the most exciting young percussionists in India, a disciple of Pandit Kishan Maharaj, and represents the Benares school of tabla playing. The second composition (track 4) uses the same sixteen beat rhythmic frameworks in a much faster tempo. As the recital gathers pace, the three musicians skilfully echo the other's improvised phrases in expressions of spontaneity that can only be captured in live performance. Indian classical musicians have always been able to draw on a vast, rich stock of regional folk music, and the second disc features three compositions drawing on this repertoire, performed in the light semi classical vein. Based on the classical Raga Tilak Kamod, ‘Lori' (track 1) is a lullaby traditionally sung by a mother to cradle her young child to sleep. Track 2 is based on a popular Rajasthani folk song 'Padharo Hamare Des', based on the Raga ‘Mand'. Finally, the performance concludes with Raga Bhairavi, an auspicious raga which is customarily played to conclude an evening concert. Recorded live at the Saptak festival (Ahmedabad). Thanks to - The stage crew at Virtual Studios, Nandan Mehta, Prafful Shah, everyone at Saptak, Kanti Dattani and Verity Sharp (BBC Radio 3/Late Junction) for inspired radio. Mixed and mastered in the U.K. By Derek Roberts of Soundcraft Productions.